I’m Jamaican-American; I come from a family known for having long hair. So of course when my hair didn’t budge an inch it was a disappointment. I decided to go natural after another horrible weave in the fall of 2013. My mother was opposed to the idea. However, after a bad relaxer, my mother had to do a big chop. It was inspiring for me to see a woman her age do a big chop, considering the fact that she’d been chemically altering her hair since she was in her teens. I decided that same year that I didn’t want to wait for the relaxer to leave; I wanted to give it an early eviction. In June of 2014, after several months of transitioning, I cut off my relaxed hair texture. Of course, my stylist was upset, but for the first time after many years, I saw my hair in its natural state. I’ll never forget that moment. 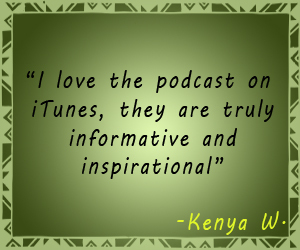 Share your story as a guest poster and be featured on our website and social media pages just like Amanda. Click here. Undoubtedly, in comparison to a number of other Black women, I even dreaded the thought of getting my hair combed as a young girl. 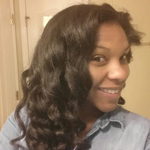 My hair was thickened with many tight curls that clumped together and refused to accept detangling from combs. The “wash day” which was scheduled by mother was always on a Saturday morning, which meant hours of the following: fussing, pouting, tears and fuzz balls from the comb. I understand that this list that I am about to present will perhaps make you cringe and recall your own childhood memories; however, these steps outline how my hair was handled on my childhood washdays. A sulfate shampoo lathered twice in my hair. A follow-up conditioner left in for less than three minutes. My hair was then towel dried. After an hour or so, the horrifying combing process began. My mother used a rattail comb and Blue Magic hair grease. My mother then pulled on my edges harshly to force my hair into tight hair accessories. The protective style was worn for three to five days. As you can imagine, my hair suffered due to the mistreatment it received. I rarely retained length on my hair during my childhood. 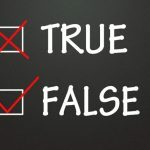 After every combing session, I saw small mounds of my hair being thrown away; I now realize that those mounds were in fact breakage caused by the rough combing. My mother never took her time when combing my hair; she simply raked the comb through, pulling out strands and causing damage. 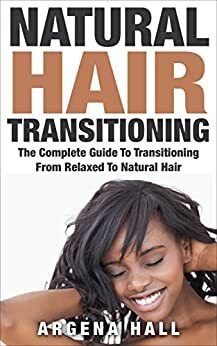 I never knew that deep conditioning and pre-pooing existed. I was accustomed to the routine of pouring on Shampoo and then conditioning for only a few minutes. So as a result, my hair was often dry and brittle which made it more susceptible to breakage. A few years later, my mother’s schedule changed, which meant that she had no time to put intricate styles in my hair. The conversation was brief and straightforward: “I’m perming your hair for now on”. The chemicals were fairly strong and gave me a headache. Although I hated the red spots left on my scalp, other people considered my hair to be beautiful because it looked like the girl’s on the perm box, truthfully. I received many compliments on my hair when it was relaxed; I even got the “good hair “comment. It made me feel very confident while damaging my self-worth and hair shaft. I had my first weave installed when I was fifteen years old. It was done by a neighborhood hairstylist. If you’ve ever had experiences with neighborhood hairstylists, you will know that they enjoy playing in your hair and often sweet talk you into allowing them to experiment on your head. In short, the style was simply a hot mess. 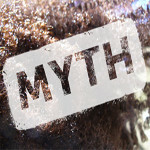 The relaxer thinned my hair; the hair extensions were synthetic and resulted in “stiff curls” that had a distinct smell. The finishing touch to the style was black gel slicked on to the exposed hair that caused severe flaking the next day. My hair had been through so much abuse at this point in my life. By age seventeen, I was addicted to using heat and gels. My ends were thinning and broke off constantly. Each hair salon visit ended with a trim and then I went back to using heat and gel. My hair was not growing; it was same length each year. After my final weave, I began to see the error of my ways. There needed to be a change. I observed as a close friend of mine went on her natural hair journey, and I noticed that her hair was so healthy and full of life. 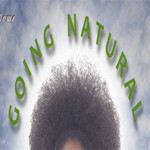 She convinced me to give natural hair a try and I followed her advice. 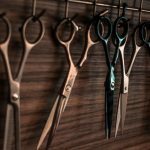 Enough about me, the goal of this article is to change bad hair habits which will take longer than you think. Transitioning is more than a physical process. The disappearance of the relaxer from your hair also signifies the disappearance of destructive habits that once destroyed your hair. We’ve spent time in the kitchen getting our “kitchens” straightened out with a hot comb. 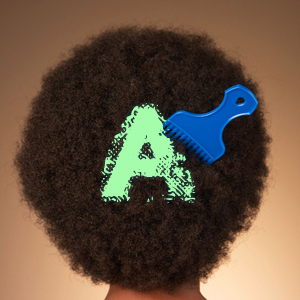 We’ve had our hair lathered with petroleum-based products, sulfates, parabens and finally a relaxer. We’ve combed our hair with contradictory tools that only snagged and pulled on our tresses. Yet, it is never too late to reverse the damage. Start with yourself. 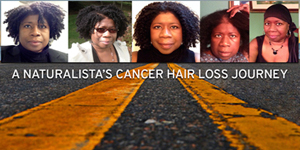 Examine hair habits that are costing you your beautiful coils and curls. Try finger-detangling sometimes, pre-poo with a thick oil before shampooing, deep condition your hair after each wash, include protein washes in your hair regimen, reduce the amount of heat you use in your hair, moisturize your hair properly and often (use a water-based moisturizer, and then an oil to seal the moister in your hair); also, make sure that you read the list of ingredients on the products that you purchase. Although some products will promise to grow hair and prevent breakage, the ingredients listed may not be the best choices for your hair. Here’s my rule of thumb, if you can’t pronounce the first few ingredients listed, don’t buy it, plain and simple. Make your own products if you can. At times, the grocery items in your shopping cart can make a pretty good deep conditioner or cleanser. Mayo, eggs, avocados, bananas, coconut milk, olive oil, shea butter, baking soda and apple cider vinegar are few residents of your pantry and fridge. If you have these products, then you have a washday. Not only is making your own products fun, but it also helps to curb your spending if you’re a “product junkie”. 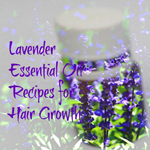 However, you should continue to experiment with different oils in your hair. Popular sealants include: castor oil, coconut oil, argon oil, olive oil and jojoba oil. Some oils may yield better results than others. If you’ve friends with natural hair, just give them the products that are taking up too much room in your shelf. Just because they don’t work for you, does not mean they will not work for the next person. Braid outs- refresh after every two to three days. Twist outs- refresh after every two to three days. Bantu knot outs- refresh after two days. Finger coils- detangle after a week. Mini twists- wear for a month to six weeks. Mini plaits – wear for a month to six weeks. Box braids- wear no longer than two months. Wash n’ go- Depends, if it looks frizzy, refresh. 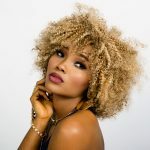 Wigs/Hair extensions- wear a protective cap when wearing a wig, wear cornrows underneath so that the wig can fit comfortably. 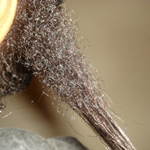 Do not neglect your hair when it is in a protective style, this is when your regimen will have a slight change. You still need to cleanse to your hair, moisturize, and deep condition, how often depends upon you. Continue with others. Whether you have young girls of your own, nieces, cousins, sisters, friends, mothers or aunts; pass on your knowledge. After your big chop, your family members may have criticized you for cutting your hair. With time, your hair has grown and continues to grow. They may have taken notice of that, tell them how you take care of your hair. Share the products that you use. Encourage other Black women to have confidence in their natural tresses. 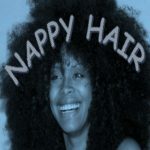 “Nappy” is a state of mind, and a very ugly word in my opinion. 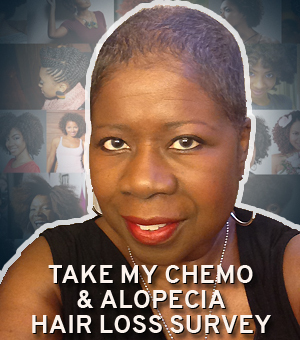 It is up to you to love the hair that grows out of your head enough to call it “beautiful”. This journey is continuous and has setbacks. Don’t allow setbacks to deter you. 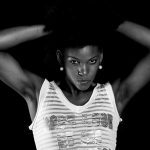 Natural bloggers that you see with long hair have had setbacks as well; we are not immune to setbacks. Again, always reflect on the things that you may be doing that are preventing you from reaching your hair goals, and change whatever you’re doing. 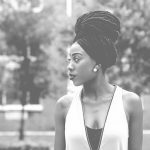 Your hair regimen may change numerous times, that’s ok. Here’s the truth: your hair regimen should change; especially as your hair lengthens. Just remember that with patience and proper care your hair will be healthy and no longer subjected to abuse. Healthy hair, no matter the texture, is good hair. 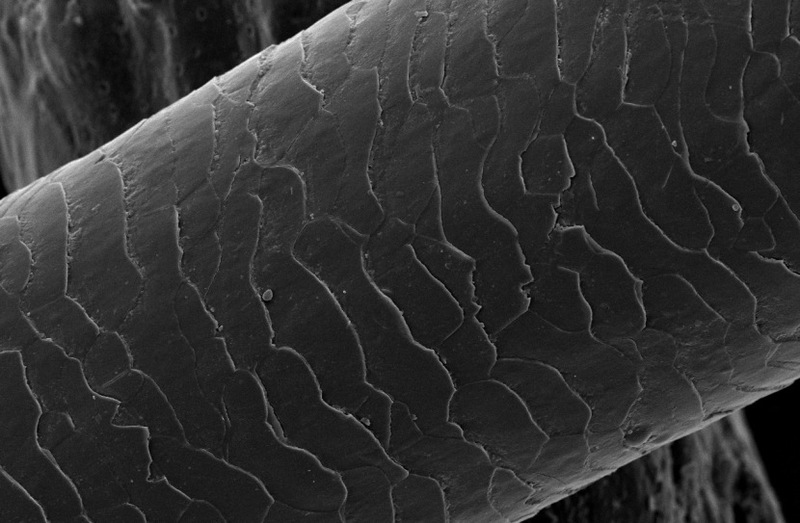 Taking Split Ends To Task – Do You Really Have To Cut Split Ends?